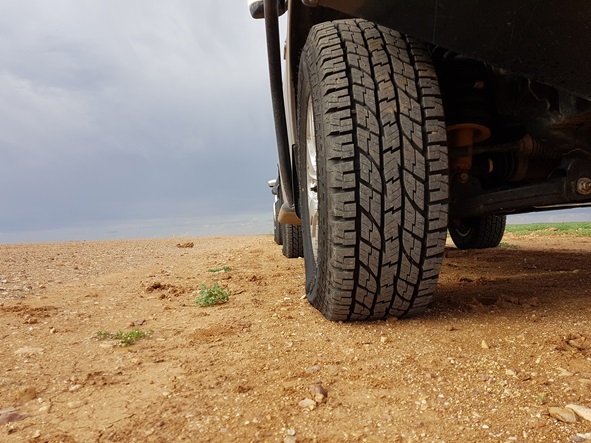 Yet what attributes actually make a 4WD tyre stand above the rest? Aggressive tread will give you better traction on loose gravel and sand. bite the terrain and gain traction. Ned Cakovan, a 4WD enthusiast from Rockhampton and part of the Nissan Y62 Group, has done thousands of kilometres on Yokohama’s Geolandar A/T G015 and rates them highly. He’s tested them across some incredibly tough terrain,including across the Simpson Desert and the Kimberleys. of owning and driving them." - Ned Cakovan 4WD Enthusiast. Road Hazard Protection when you buy at least two Geolandar A/T G015. Time to toughen up your 4WD? Talk to your local Yokohama dealer today.